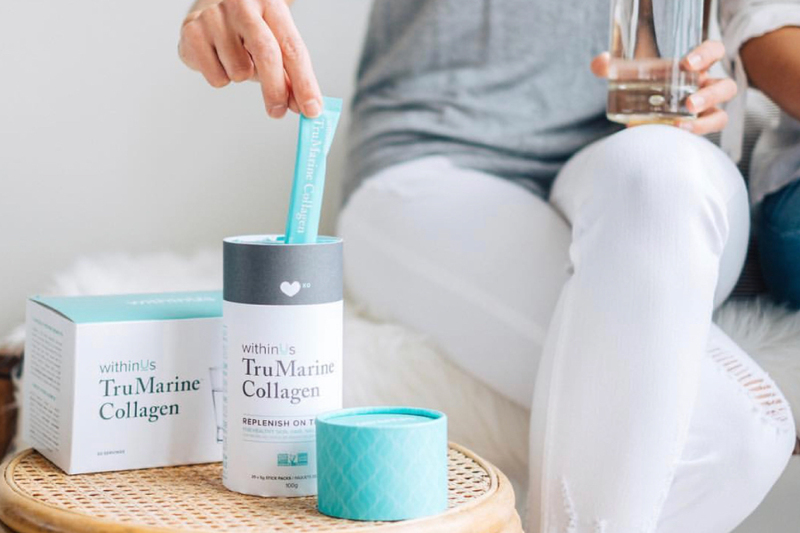 While it has many powerful health benefits, chaga has gained popularity over the last few years for its potential anti-cancer and immune-boosting properties. But like most medicinal foods, even though you may have not heard about it until recently, people have actually been consuming it for centuries, particularly in Northern Europe and Russia, due to its high amount of antioxidants. When steeped in hot water, chaga takes on a very dark colour, sort of like dandelion root, but without the bitter taste. And like dandelion root, chaga can be a great coffee alternative, though I love it simply as a nutrient-packed tea, which I typically drink first thing in the morning. 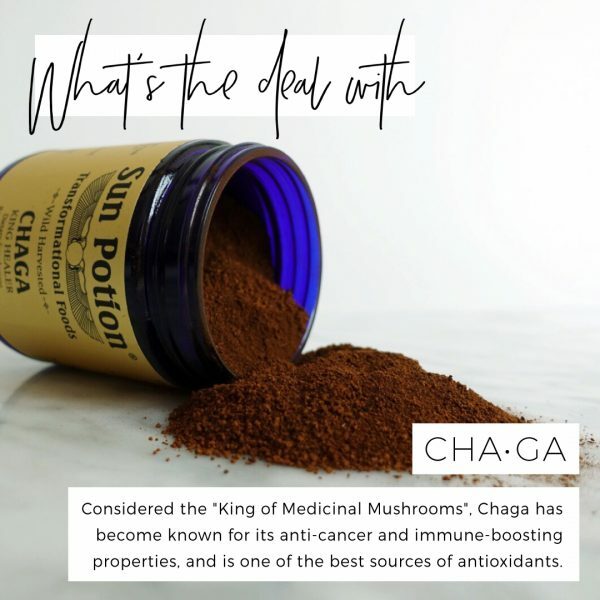 Despite being referred to as “The King of Medicinal Mushrooms”, chaga is in fact not technically a mushroom, but rather is a non-toxic fungus that grows on birch trees in cold climates like Russia, Northern Europe, Canada and the United States. It also looks and tastes nothing like a mushroom – the exterior resembles burnt tree bark or burnt charcoal, with the inside a yellowish brown colour, and the taste is a bit earthy with the slightest hint of vanilla (which I learned is because it has naturally occurring vanillin, which is found in the vanilla bean). Most people (including myself when I first heard about it) are turned right off when they hear the words”chaga mushroom”, but I can confidently say the taste is very subtle. While much more research has yet to be done into the scientific benefits of chaga, more than 1600 studies over the past 40 years have looked into its antiviral, anti-fungal and anti-cancerous properties. These studies on animals and human cells have shown its potential to inhibit the progression of cancer, help boost the immune system and reduce inflammation. In fact, studies on mice have demonstrated its ability to reduce symptoms of ulcerative colitis, which is no surprise as chaga has long been used in Eastern culture to support gastrointestinal health. And as I mentioned, chaga is also one of the highest sources of antioxidants. After being harvested, chaga is typically cut into smaller chunks and dried. It is then made available in pill and tincture form, however it’s most commonly consumed as a tea. Its medicinal effects will be the strongest if steeped on low heat for a longer amount of time, so can either be left in a pot of hot water on the stove, or even in a slow cooker for a few hours. Because this does require a little more time than your average tea, you can make big batches, keep it in the fridge and re-heat it throughout the week. While we always advise checking with your healthcare practitioner before incorporating new medicinal foods or herbs into your diet, chaga is considered to be a tonic herb, which means that it’s generally safe to consume in large amounts over a long period of time (which is actually the best way to consume it in order to reap the benefits). Brands like Four Sigmatic and Sun Potion sell a powdered form of chaga which can be added to hot water, hot beverages (elixirs, lattes, etc.) or even smoothies. You can find both these brands on one of our favourite websites Pure Feast. Otherwise, the brand Giddy Yoyo sells chaga in small chunks which are easy to make into tea, and farmers markets are also a great option to find local chaga. 1. Break up the chaga into smaller chunks, roughly 1 inch in size (if not already purchased that way). ​2. Combine chaga with 1 litre of water in a pot and bring (almost) to a boil. 3. Let the chaga simmer until the water turns a reddish brown colour (or at least an hour). *You can reuse the chaga chunks a couple times. Store in the fridge in a container without a lid.